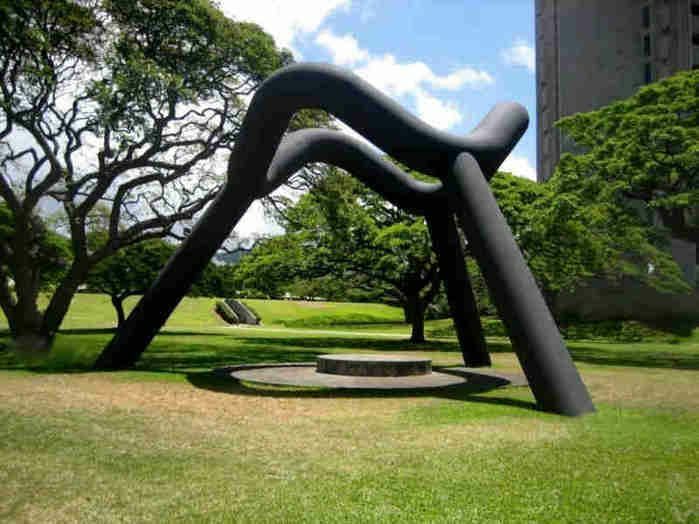 Sky Gate, a quirky sculpture located in an expanse of lawn between the Municipal Building (aka Honolulu Hale) and the Mission Memorial Auditorium in Honolulu, is more than just a piece of public art. This sculpture by Isamu Noguchi, which looks like a massive tripod with curvy ring on top, puts on a show twice a year (usually in the months of May and July) during the "subsolar point" or when the sun is directly overhead and parallel to this spot in Honolulu. 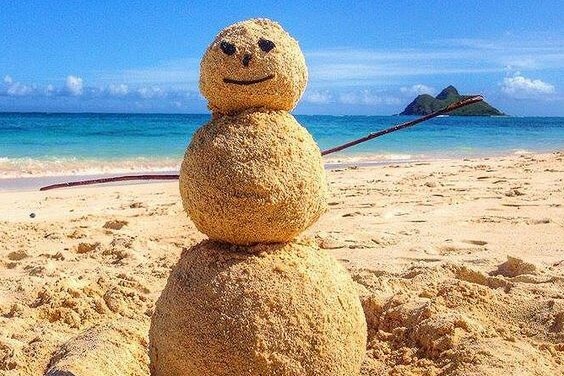 During this celestial phenomenon, also known as "Lahaina Noon," vertical objects, such as a tree, pole or building, cast absolutely no shadow at all. In the case of the Sky Gate, the sculpture casts a perfect circle on the ground during Lahaina noon. The sculpture was initially criticized as a flagrant example of overspending by government officials when it was unveiled in 1977. Today, the modern sculpture attracts astronomy enthusiasts especially during Lahaina noon. Hawaii is the only place in the entire United States that experiences this astronomical event. 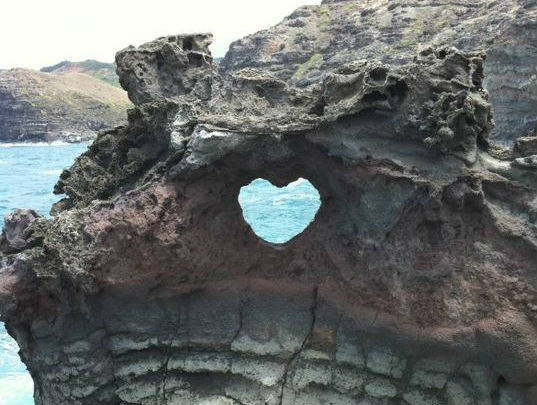 Apart from Honolulu, the phenomenon is also experienced in Hana, Hilo, Kahului, Kailua-Kona, Kaunakakai, Lahaina, Lanai and Lihue. The exact times of the Lahaina Noon in these locations can occur anywhere from 12:16 to 12:43 p.m.
Sky Gate is located at 530 South King Street, Honolulu.